We have three beautiful locations, each with their own unique character. 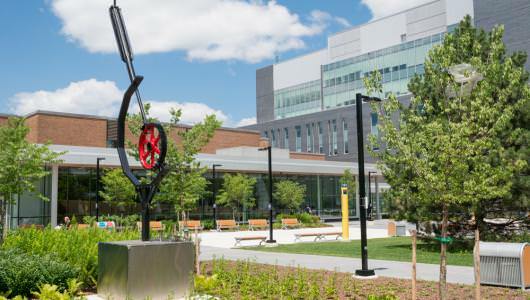 Humber's largest campus is centrally located with easy access to the downtown core. Its balance of urban living and lush forestry makes this campus an ideal blend for all of our students. 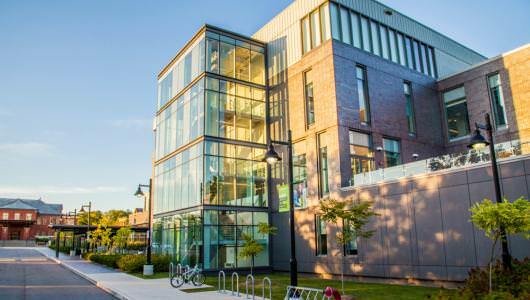 Located just west of Toronto on the shore of Lake Ontario, the Lakeshore campus offers beautiful historic architecture, modern conveniences and lots of ways to connect with nature. 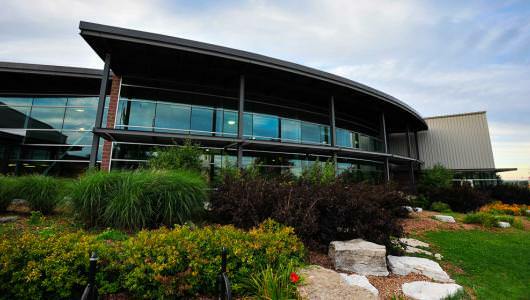 Located 45 minutes north of Toronto, the Orangeville campus is home to a close-knit, thriving community. Students have access to a number of in-demand programs and services. What’s driving your decision to come to college? Your program? Distance from home? Maybe it's that gut feeling that says, "This is where I belong." Take a campus tour and discover our diverse and inclusive community. Live on campus in Residence and find a whole new world. Study hard, play hard, make friends, stay up late and get involved. Located behind Humber College's North Campus, the Humber Arboretum consists of botanical gardens and natural areas surrounding the Humber River. The Humber Room is a full service upscale-casual restaurant, located at the North Campus of Humber College.